Joseph Chambers, the head of Paw Creek Ministries, is proud to describe himself as being a "classical Pentecostal preacher." Dr. Chambers pastors a church in Charlotte, North Carolina, and he operates a two-hour radio program called "Open Bible Dialogue." In his commentary, he covers a wide range of topics, but one of his specialties is exposing false teachings in the Body of Christ. 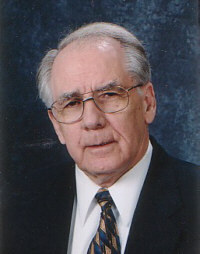 Joseph has produced several videotapes that expose the errors of the Word of Faith movement. He has also written more than 185 booklets that can be purchased from his ministry. His website can be found at: http://www.pawcreek.org. Jerusalem Shall be Trodden Down, Until! Left Behind: Can You Still Be Saved? The Ark Is About To Sail! Saved After the Rapture; But, Oh, the Cost! "Out of the Ivory Palaces"
Do Muslims Believe Obama is "Islamic Messiah?" The Marriage Supper Of "The Lamb"
Beware, The War Is On! The “Great Whore” is Here! Satan Wants Us To Laugh About Hell..
Satan’s Eviction From The Earth! The Rapture And Then,”All Hell On Earth"
Lying Wonders: “Antichrist Is Waiting..
John The Revelator Saw The Title Deed..